The new Winn-Dixie at Baymeadows Road and Interstate 295 reopened Feb. 4 with a fresh look after a 5-year hiatus. Winn-Dixie has a bold vision brewing in its hometown, to go after a decidedly more upscale market. To do it, it’s rebuilt one of its own from the inside out. A previously underperforming WD shuttered in 2010 at 10915 Baymeadows Road on Jacksonville’s Southside sprang back to life Feb. 4 following a rebuilding project. 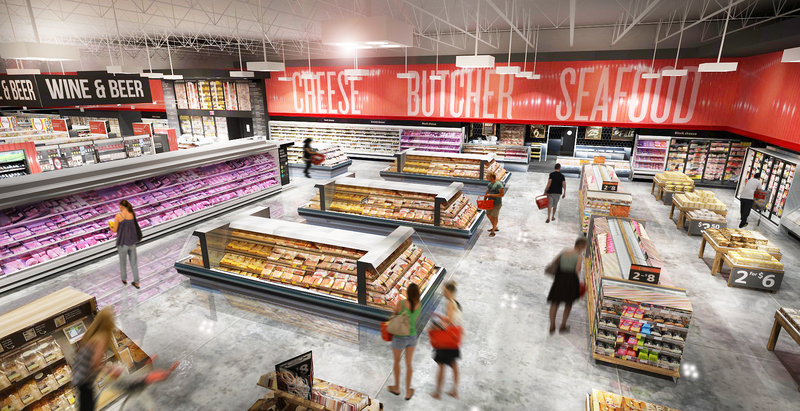 With it, Southeastern Grocers, Winn-Dixie’s parent, casts a new light on what its store of the future might look like. This remodel kicks off 50 store remodels the chain will conduct this year. The refreshed grocery stares across Baymeadows at a Publix Super Markets store, and it brings to the stare down some serious chops, which I’ll get into shortly. But can it thrive in a milieu of established, cash-flush competitors with upscale flashes like Publix, or value leaders like Walmart and Target? Relatively young and affluent battlegrounds, such as the Baymeadows/Deerwood neighborhood, may be the proving ground, as company officials detailed in a preview event the evening before the store’s grand reopening. 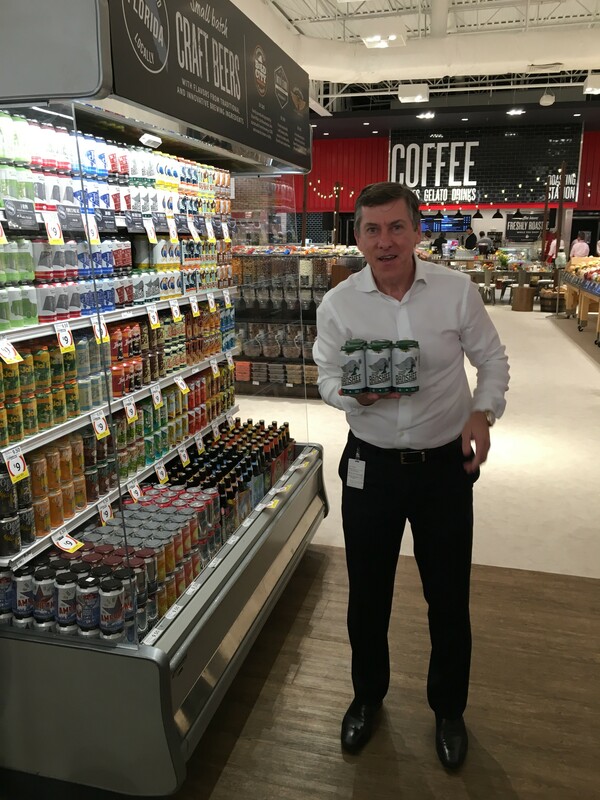 Southeastern Grocers President and CEO, Ian McLeod, shows off one of his favorite local microbrews, from the nearby Veterans United brewery, at the new Winn-Dixie Baymeadows. Southeastern Grocers President and CEO Ian McLeod indicated that uniform stores and inventories may be a thing of the past, suggesting an approach to tailor stores to the needs of the neighborhoods they serve. That includes a more overt support of local enterprise, from farms to breweries, with more than 100 Jacksonville-based items represented. You’ll also find here a strong selection of natural and organic goods—more than 4,000 at this location alone in a store-within-a-store incarnation, Naturally Better. 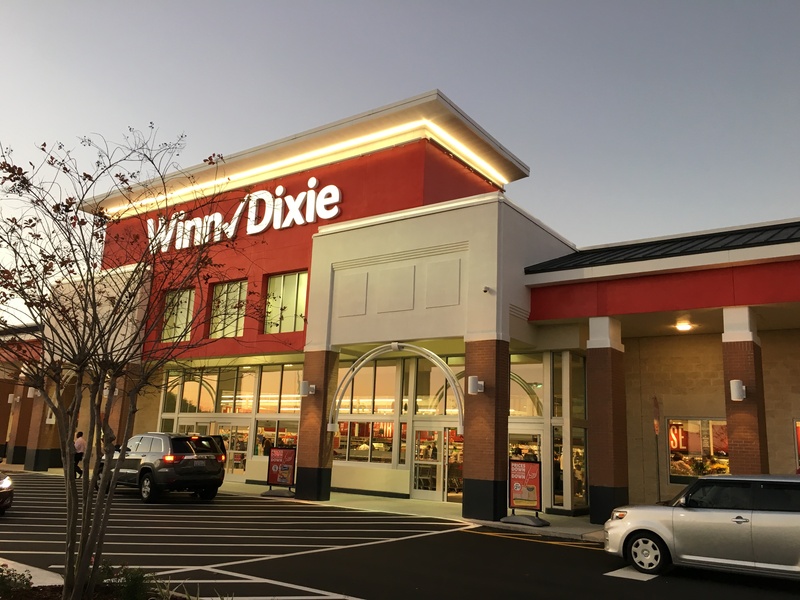 Along with more sustainable packaged goods, this Winn-Dixie has invested a significant portion of store real estate to prepared, grab-and-go foods. This includes a stone-hearth pizza oven and smokehouse, barista-staffed café (they even put cup holders on shopping cart to encourage responsible sip-and-shop behaviors) with gelato bar and standalone deli in the rear of the store with more than 350 local and international artisanal cheeses available. “We want to offer the best meal solutions that we can and give our customers something special,” McLeod said, as he navigated a small group of media around the aisles. The new Winn-Dixie Baymeadows sports upgraded aesthetic touches, including bolder signage and bright LEDs overhead. Beyond store amenities, the place has some much-needed re-engineered aesthetics. Thoughtful touches include bright LEDs overhead, polished concrete, tile and laminate flooring and tall-font department names emblazoned along perimeter walls. It creates the feeling of a more-open, less-cluttered shopping experience. Nearly 10 percent of WD’s 518-store inventory will get a remake along the lines of the Baymeadows store. It remains to be seen which stores will get the special treatment, but McLeod indicated several times during our visit that the grocer will be research-driven about where changes occur, and which products will get placed in which markets. WD has already invested $70 million in renovating its pricing structures, including for 600 everyday goods, called Down Down, that represent permanent price cuts. It’s safe to say that this Winn-Dixie is bringing its A-game to its Deerwood neighbor. But a stalwart industry leader like Publix, which built its empire on exemplary service, hasn’t wilted in its local market share, even against deep-pocketed global competitors like Walmart. Granted, this WD is throwing down the hammer not just on low prices but on the service equation. The in-store aesthetics polish can’t be understated either: it’s a tangible competitive advantage in this well-heeled micro market. It will be interesting to watch how the WD remodels fare against nearby competitors. In the end, the customer will win with more choices. And no matter how you slice it, scoop it or bag it, that’s tasty news. Especially that gelato bar. It may require a detailed analysis. I’ll keep you posted.